Dallas Homeowners who want to sell their home quickly need to know what their options are. However, many homeowners don’t want to wait that long. Usually, people sell because they need to move and they don’t always have 3 to 6 months (or longer) to wait for a sale. So there is another option, and that is to bypass the agent and sell directly to a home buyer. 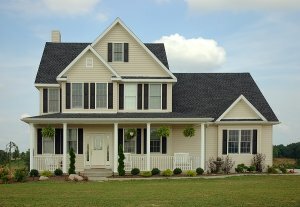 Most people are surprised by this question because they don’t realize that they have to spend money to sell their house but if you sell the traditional way, there are two times that you have to spend money: before you list, when you renovate your property to get it ready to sell; and after you sell, when you pay your real estate agent a commission for selling the property. Both of these can cost THOUSANDS of dollars. Not all homeowners are comfortable SPENDING all that money in order to SELL their house. If you’re a homeowner who would prefer to keep more in your pocket, you have another option: you can sell your house directly to a homebuyer. We buy houses as-is and take care of all costs (and there are no fees or commissions).